See more work from me! I decided to use my under developed graphic design skills and put together a commission graphic for everyone. If you're interested, please contact me at lwakefield3@gmail.com or PM me and I'll get back with you as soon as I can! Thanks everyone! Your support puts a smile on my face. Wiggle me this, if there is a Queen Wiggler, then who is the King? Well the Wiggler Helmet of course! This was a Birthday card for my friend. Even though it was for her, I think I got a lot more out of it. Wigglers are the best. If you want to see more of my work, including sketches, work in progresses, or whatever you can find me on. I have also set up a print shop on Society 6! Happy 2019 everyone! I spent my New Year day painting/ concepting a dragon design I have had in my head for a while. I hope to find the time to develop this guy further! I just want to say I am so grateful for all the opportunities that have been presented to me this year, the good and the bad. They helped me grow and show me that I can change as a person. Here's to 2019 and more growing opportunities! Hey everyone! Throughout the month of November I have drawn dinosaur portraits for Dinovember over on Facebook and Twitter. The 28th day and my 10th dinosaur choice was Tyrannosaurus Rex! I'm really proud of this one. I spent a lot of extra time working on the scales and painting it. Hey everyone! Throughout the month of November I have drawn dinosaur portraits for Dinovember over on Facebook and Twitter. 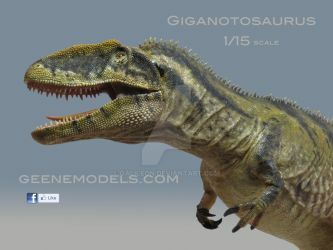 The 26th day and my 11th dinosaur choice was Spinosaurus! My favorite dinosaur, hands down. Seriously love this guy. Hey everyone! Throughout the month of November I have drawn dinosaur portraits for Dinovember over on Facebook and Twitter. The 22th day and my 10th dinosaur choice was Velociraptor!